Expansion Solutions Magazine - Economic Development and Industry News - Amistad Industrial Developers announced NEW DEVELOPMENT in Central Mexico!! Amistad breaks ground on a 62 Hectare industrial park located in the state of Guanajuato (Mexico Bajio Region). With an investment of $21.7 million dollars this park will accommodate 15-20 new manufacturing companies in the automobile, aerospace, manufacturing and logistics industries. Strategically located 9.5 kilometers from Honda and 52 kilometers from Mazda, this industrial park will generate more than 1,200 new jobs to the area. 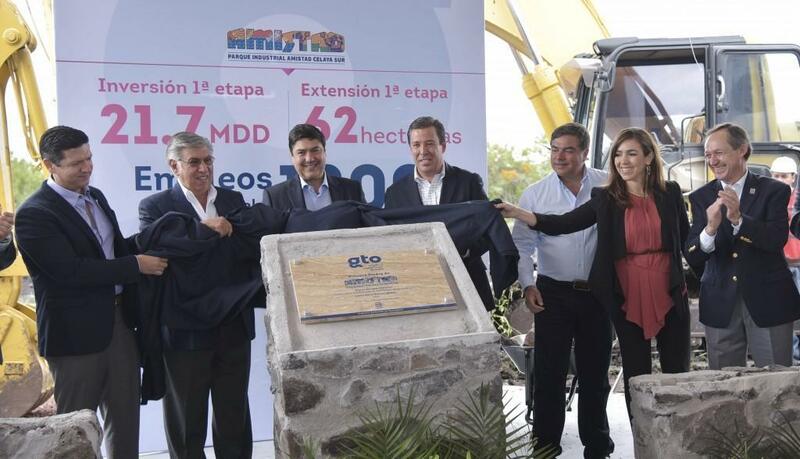 Jesus Maria Ramon, C.E.O of Amistad Group, stated that this innovative state-of-the-art development is the second industrial park in the state of Guanajuato and number 13th in the country.